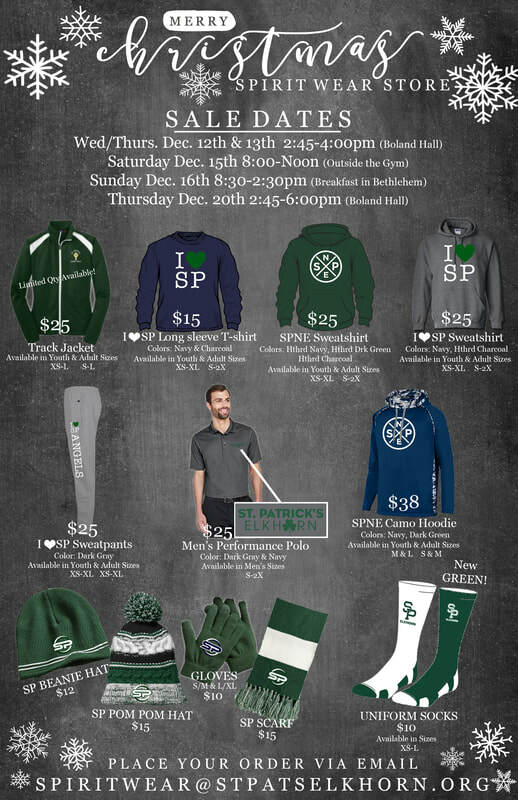 Our St. Pat’s spirit wear store is open all the time by emailing spiritwear@stpatselkhorn.org. We have stock of all kinds of uniform items, spirit wear designed t-shirts, sweatshirts, and other seasonal items! Email in and we’d be happy to fulfill your order or give you additional information on what we have available!